I am blessed to work for an Orthopedic Surgeon, so when I have small issues I can ask the MA (medical assistant) to take an X-ray (although I’m not a fan of radiation, I do take daily iodine to help protect my thyroid from radiation) and I can go to my doctor with questions and I don’t have to pay those pesky specialist copays, in fact it’s all free, but trust me I work for it. 🙂 Anyway, several weeks ago I was having all sorts of pain when I woke up in the morning, the first steps were so painful I would limp. Getting out of the car once I got to work, again painful enough to make me limp. I’m not a rush to a doctor kind of person, so I just dealt with it and went on. Soon I wasn’t even noticing it, but Sunday Hubby gave me a foot massage and all of a sudden that pain was back, yikes it hurt! So Monday I asked the MA to take an X-ray, she didn’t see any breaks but would have the doc look at it. We talked a bit yesterday, he didn’t see any fracture but said when I had pain in the morning to come talk to him. This morning Hubby woke me up early to work out and train with him. He is training for a MMA fight and I am helping him, holding the mitts and such. It’s good for us both, we both could stand to lose some weight. After our morning workout my foot was really aching. I came in to work and went back and asked the doctor to talk more about it. When I described my pain (both on the bottom and on top, with pain shooting up my leg) he basically said that it’s probably a stress fracture that he can’t see on the X-ray and that I have to stay off it. How am I gonna lose weight that way doc? He suggested a stationary bike, which we don’t have, my trampoline is my workout of choice. So I’m going to have to get creative, which is fine. I am overweight and that has to change, although I’ve lost 5lb I do still have a ways to go and we are just getting going, I can’t stop now. I talked to Hubby who said we’d modify the workouts so I don’t put pressure on that foot, but I do want to do more, so I’m gonna share my plan of action. Secondly I just read on Livestrong.com that arnica is a good herb for stress fractures as well. 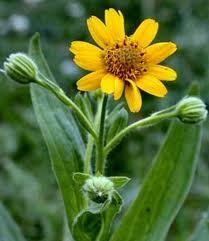 Arnica is STRICTLY for external use, do not ingest it for whatever reason, it is POISONOUS! Ok that out-of-the-way, it is used topically all the time for bruises and non open injuries (ie the skin is not broken, again you don’t want this inside your body for any reason). I have an arnica gel that I purchased and used it on sore muscles, bumps, bruises etc. 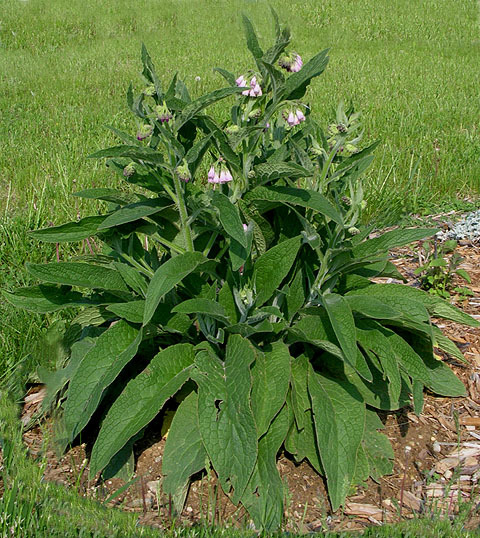 But I have dried arnica as well and I will probably include some of that to my comfrey poultice. Lastly I am going to make sure I take some supplements that strengthen bones. I already take these things but I think I will ramp them up for a few weeks. I take coral calcium daily, but I will increase my daily intake. I also take food grade diatomaceous earth, which contains silica which is a big component to building strong bones. I won’t spend a lot of time on the DE but I did do a blog post on this already (https://virtuousgracious.wordpress.com/2012/01/26/food-grade-diatomaceous-earth/) so read that if you want more information on diatomaceous earth. Lastly I am going to also start drinking more raw milk and eat more raw butter. We get our milk from a local lady, have also had raw goat milk. Technically our raw milk is for “animal” consumption because Oregon has a silly law that raw cows milk can’t be sold for human consumption, but… raw goats milk can? I know, I don’t get it either. I will keep you updated on the healing process, the hard part is because no break is showing up on the X-ray I will only be able to tell it’s better by how it feels. I am praying for a speedy recovery, I have wanted to get into jogging and this is putting a wrench in that plan. God gave us all we need for healing, I am convinced of it every time I look to herbs for a remedy. A story with excellent tips, and a solid background picture! Thank you Jaime, especially for reading and taking the time to comment. 🙂 Have a wonderful day!